NYC has launched a range of eyeshadow palettes that are designed to suit different eye colours. The individual palettes take the guess work out of maximising your eye appeal and gives beautiful results. Whether your eyes are blue or green, NYC Individual Eyes has a look designed perfectly to suit you. The eyeshadow palettes are great in that it has everything you need to create a smokey eye look suitable for your eye colour in one place. You don’t have to hunt around trying to find different eyeshadows that work together and it’s great for travelling light. Whilst the NYC website advertises at least 7 shades (it doesn’t say which is designed for which eye colour) unfortunately not all these shades have translated into Superdrug where NYC is sold. Superdrug has three palettes; Smokey Browns 941, Green Eyes 943 and Smokey Blues 942 so it has pretty much all eye colours covered. 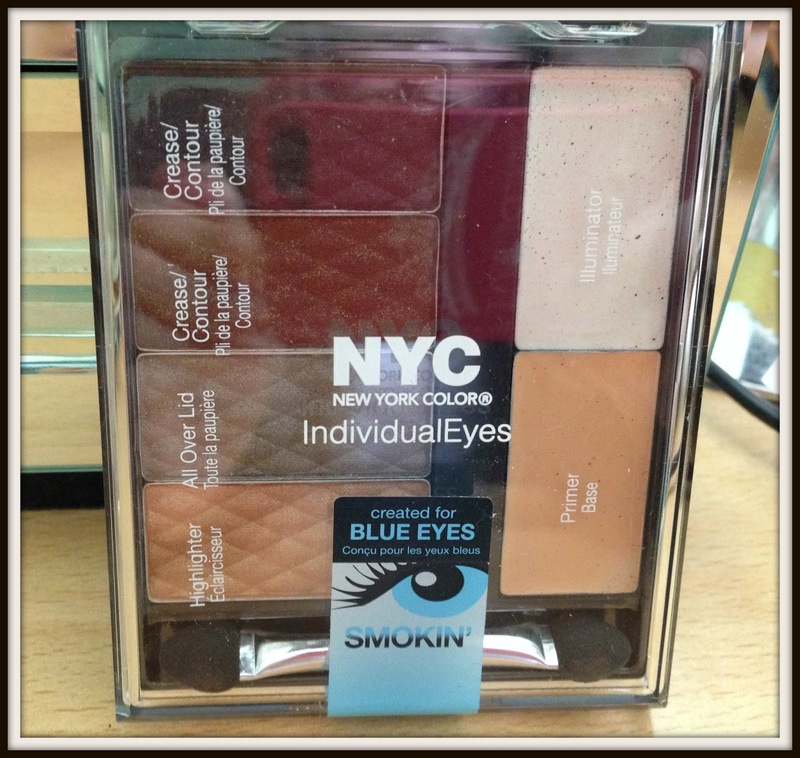 For the purpose of the review I am reviewing NYC Individual eyes in Smokey Blues 942. The palette is sectioned into four eyeshadows each with specific uses; highlighter, all over lid and two crease/contour shades.There is also a primer to set the eyshadow and a illuminator. I found that the primer and illuminator started to sweat after a while which was quite unappealing, and not something I see that often. It has a really handy look guide on the back which I always find useful for inspiration. The palette is really versatile and if you don’t fancy using all the shades together you can use them on a individual or piece by piece basis. 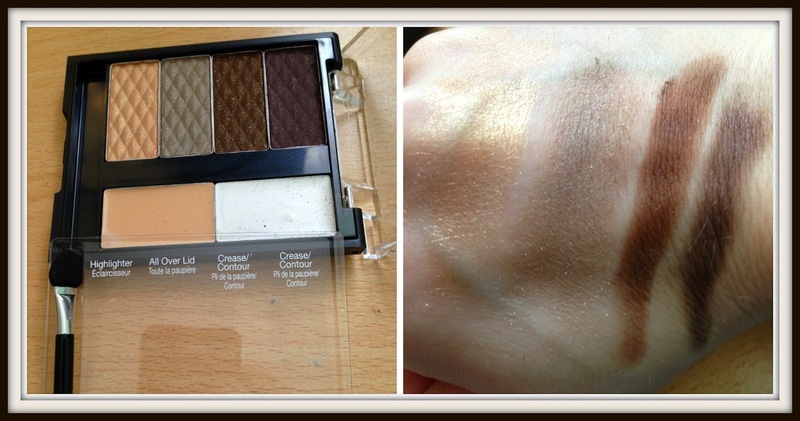 When swatched the shades were quite similar to how they appear in the palette, although the dark purple actually appears more brown. 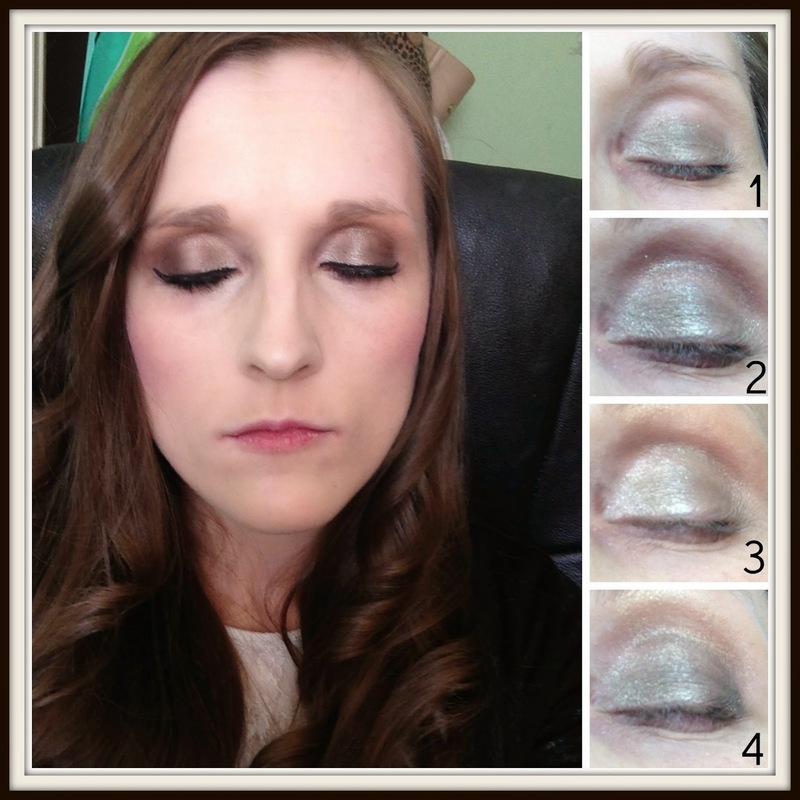 I found the gold shade was quite pigmented and the khaki grey shade had some shimmer in it. The purple and brown were very matte and quite flat shades. Initially I was not impressed with the palette. The colours seemed hard and they didn’t blend well together. I also felt they weren’t matched that closely. Once I had applied some liner and mascara however I felt the look was better, albeit not my most favourite eyeshadow look. The palettes are fantastic value, especially considering the amount of kit you get and it really does save a lot of time and money. "My four favourite Highstreet Lip products all under £10.00"
"A Budget Highlighter that Makes Your Skin Glow for Only £3.00!"